49.2 percent of students in the class are female and 50.8 percent are male. 14 percent of students in the class are children of Princeton alumni. 15 percent of students in the class are the first in their families to go to college. 20 percent of students in the class qualify for a Pell grant. View a PDF of the geographic overview of the Class of 2022. 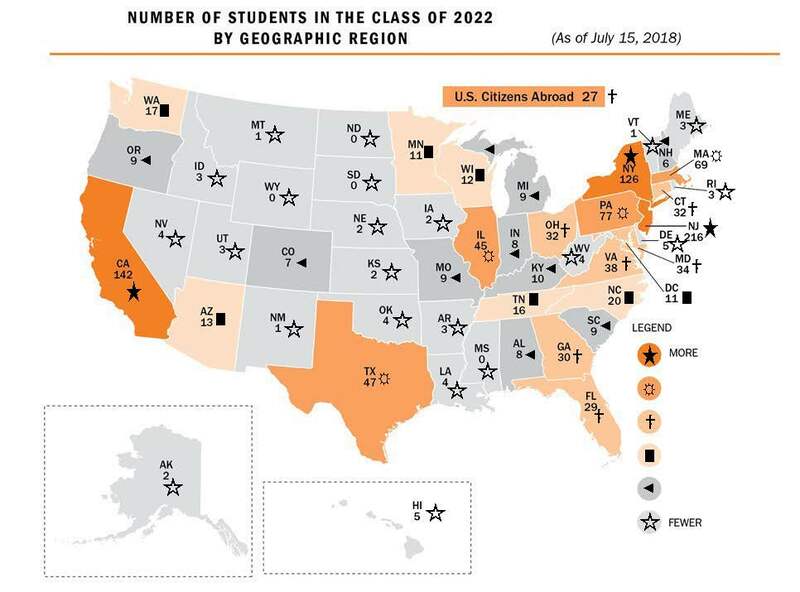 The Princeton Class of 2022 includes 170 international students who are citizens of the following 63 countries.